Six years after the mainstream launch of the Nissan Leaf, range anxiety is still a barrier for many when it comes to adopting electric vehicles. 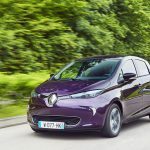 It’s a barrier Renault hopes to demolish with the updated ZE40 edition of the Zoe compact electric hatchback, which almost doubles the vehicle’s range on the NEDC cycle, from 130 miles per charge, to 250 miles. 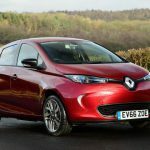 In real life, the manufacturer says that means an expected range of 186 miles, which it believes will be enough for many drivers to attempt the switch to electric. The new battery system occupies the same space as the old one, and is only marginally heavier, but offers substantially more capacity. But, aside from the fancy new battery technology, the car itself is largely unchanged. Renault has introduced a new top-spec trim level, called Signature Nav, which includes a Bose sound system, rear parking camera, leather heated seats, and some different interior colours. The top spec trim level seems unnecessary on this car, and the darker interior loses some of the character of lower trim levels. Dynamique Nav, the mid-range spec, remains the pick. The light and airy blue and white interior of Dynamique Nav better fits the character of the car – friendly, accessible and classless. There is one other area that has been improved that is worth a mention – connectivity. From midway through this year, the car will be compatible with a system called Z.E. Trip, a phone and car app combination that links into real-time charging systems, and shows live charging point availability. When the driver reaches the charging point, the Z.E. Pass will allow them to pay through the infotainment system for their charge. 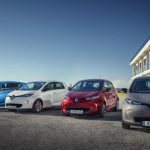 Renault says the vast majority of Zoes sold in the UK are still bought under the battery lease programme, which will continue to operate. Battery lease pricing starts from £59 on the new ZE40 vehicle, £10 a month more than the old 22kw model. 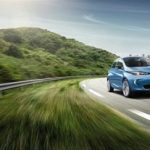 After plug-in grant, a battery lease ZE40 model starts from £17,845, nearly £4,000 more than the new price of the old model, which remains on sale. 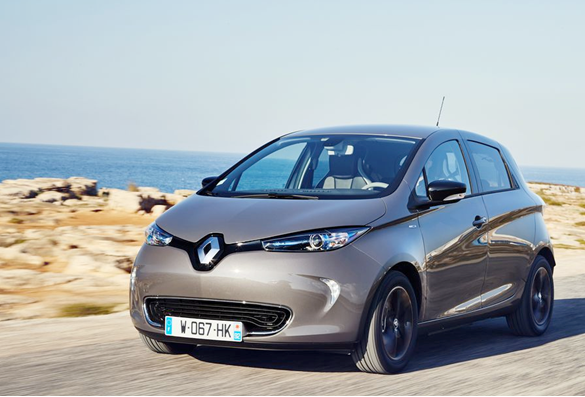 Those opting for full battery-included ownership will stump up £23,445. 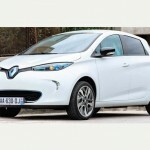 Despite the cost premium, the new Zoe ZE40 is a serious contender in the electric vehicle sector. It may be smaller than the Leaf, but it has more range and a more modern interior, and is still significantly cheaper – upfront, at least – than a BMW i3. This topic contains 1 reply, has 1 voice, and was last updated by Trevor Larkum 2 years, 1 month ago. This thread closed due to spam. 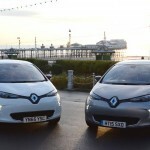 The topic ‘First drive: Renault Zoe ZE40 Signature Nav electric car review’ is closed to new replies.